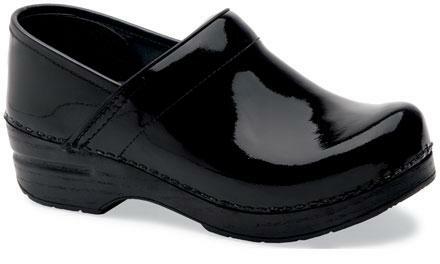 The Dansko professional clog in black patent leather. - Firm foot and arch support. Contoured midsole keeps your foot supported and secure. - Superior shock absorption. Comparable to athletic footwear.